Since 2009, Allen Event Center has hosted names like Boston, B.B. King, Chicago, and Reba among many others. It is also home to the Allen Americans hockey team and Dallas Sidekicks indoor soccer team, meaning the possibilities for fun are endless here. 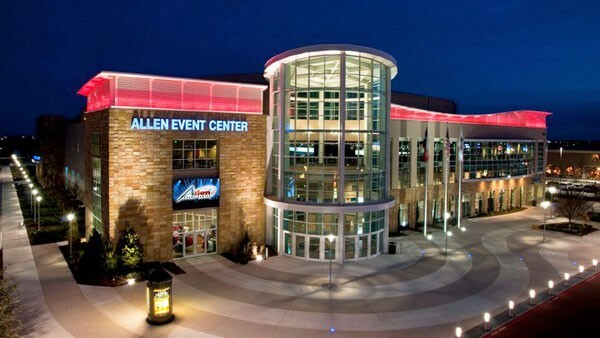 Allen Event Center hosts over 100 events a year ranging from Home and Garden Shows to Disney on Ice and also boasts a community ice rink open the public for skating as well as pick up hockey games and skating lessons. Click here for the full schedule of all the awesome shows you can go see.